"Great prices and products. Hopefully we can do business again soon." 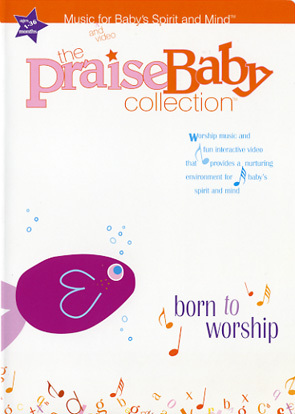 Born To Worship the third release in The Praise Baby Collection: Music For Baby's Spirit And Mind. This series is the first developmentally appropriate CD, DVD, and video series that creates a nurturing environment for your baby's spiritual and intellectual development. Combining popular praise and worship songs with images of children, colorful animation and real world objects, Born To Worship will actively engage your baby's spirit and mind, stimulating early learning in the areas of tactile, cognitive, social, emotional, and most importantly spiritual development. Three different audio tracks all you to listen to all songs with female lead vocals, child lead vocals or instrumental only. A new collection of powerful songs that highlight the ministry of Gateway Worship! Dual Disc CD/DVD set - From the ministry that brought you NOTHING IS IMPOSSIBLE, THE ANTHEM, LIMITLESS, and ENDLESS PRAISE!